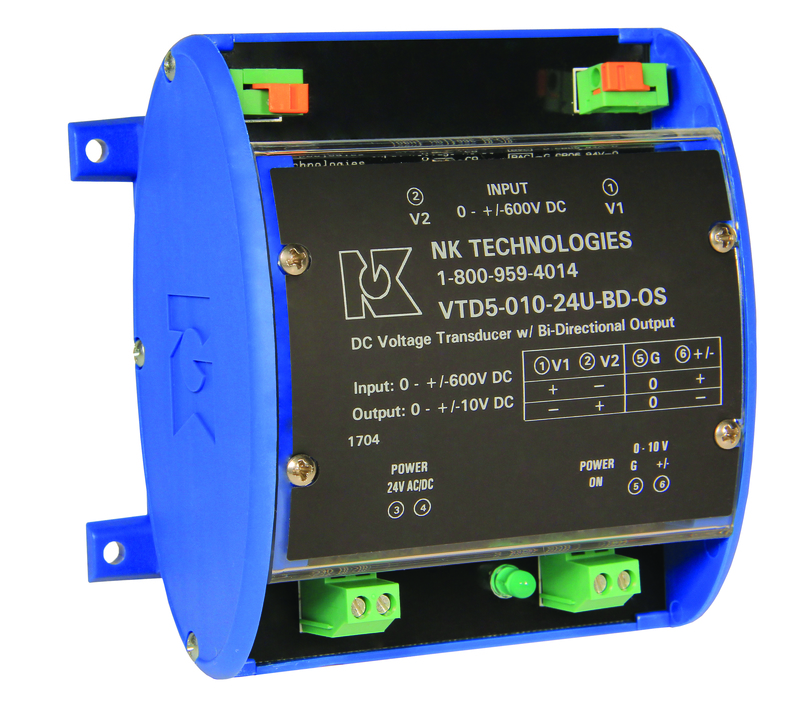 VTD-BD series voltage transducers are high-performance transducers for sensing voltage in DC powered installations. Applicable for use on circuits to 600 V DC, VTD-BD voltage transducers provide a fully isolated +/-5 V DC or +/-10 V DC output signal in response to DC voltages that change polarity. Housed in an easy-to-install DIN rail or panel mount case, the VTD-BD series comes in a variety of ranges to suit many primary voltages. The device detects below normal or “brown out” voltage conditions, protecting against possible motor overheating; identifying conductor loss conditions by detecting voltage reduction in one motor lead; monitoring over voltage conditions associated with regenerative voltage to help in diagnosing/avoiding motor drive issues; and detecting voltage conditions which can cause stress in, or damage to, soft starter components. The unit offers six ranges of input voltage; industry standard outputs make existing controllers, data loggers and SCADA equipment easy to use and reliable; while input and output circuitry is electrically isolated for improved safety. The post Multi-voltage DC transducers appeared first on EE Publishers.